United States is continuing its pressure on Pakistani Government to free American CIA agent Raymond Davis who murdered 2 Pakistanis in Lahore last month and 2 more deaths also taken place in the same incident. Pakistani Corrupt Government that is puppet of United States is also trying to free Raymond Davis but Pakistani public which is already very angry is not ready for this. Recent Removal of Pakistan's Foreign Minister Shah Mehmood Qureshi from his Ministry was also due to this case. Shah Mehmood Qureshi was not ready to give Immunity to Raymond Davis because according to him Raymond Davis was not a Diplomat so Immunity can't be given to him. This is Shah Mehmood lost his Foreign Ministry. 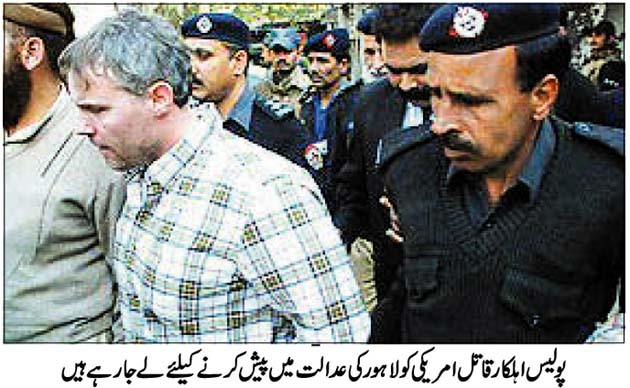 Now Zardari Government will bring a new Foreign Ministry who will get ready to give Immunity to Raymond Davis.